The horror genre is making a comeback in a big way! After superhero franchises, horror movies are becoming the biggest blockbusters of the box office again. Just in 2018, movies like A Quiet Place, Halloween, and The Nun all scored in the nine-figure ranks of box office ticket sales. Meanwhile in TV, series like The Walking Dead and Black Mirror get all the buzz. Say what you will about the 21st century, but something about it stimulates the audience’s appetite for horror. One reason why horror movies do so well, which most people don’t take into consideration, is that they tend to have a lower production budget than other genres. Sci-fi and superhero action flicks require tons of special effects and awe-inspiring settings, but give a horror movie a cabin in the woods and you have a set for… well… The Cabin in the Woods. Horror movies make great use of abandoned buildings, grimy basements, and post-apocalyptic landscapes where the more trashed everything is, the more authentic it looks. It turns out there’s several health benefits to being a horror movie fan. Watching horror movies actually burns calories from the adrenaline rush, and boosts your immune system by stimulating the production of leukocytes. In addition, horror movies help people through their anxiety and fear, processing those negative emotions that tend to clutter up the psyche. So there’s an answer Dwayne from Accounting might understand, since he can’t fathom that horror movies are actually fun. But why do we really watch horror movies? They have an intellectual challenge to them that isn’t often found in other genres. They’re harder to predict, more likely to have twists and suspenseful scenes. Also for some people, horror movies are more in tuned with their reality. It’s hard to identify with a costumed superhero, but horror movies are about regular folks facing danger – something that happens somewhere on this planet on an all-too-unfortunate daily basis. With that out of the way, here’s some of the most creative, playfully fierce horror movie swag we could dig up. Happy Death Day surprised everybody by being one of the most innovate dark comedy / horror fantasy stories they’d seen in a long time. There’s a new sequel slated for release any day now, and the trailer makes it look just as fun as the original. 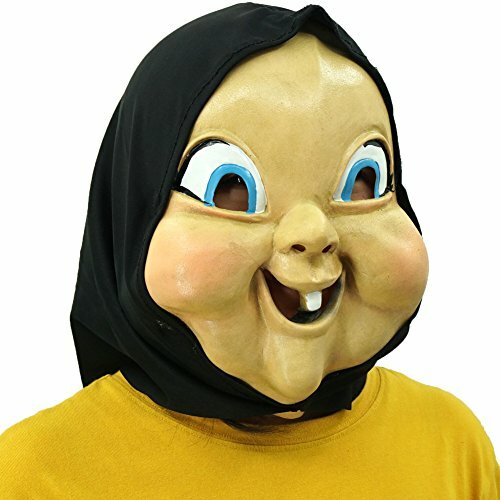 This doll mask is the perfect embodiment of the movie’s mystique: a gruesome, scary visage whose crazy leer mocks our bewilderment as we don;t know why this is happening or how to stop it. Yeah, H.P. Lovecraft is having a major renaissance lately. Movie like Bird Box and A Quiet Place evoke Lovecraftian themes, and they’ve both been enough of a success that no less than Nicholas Cage is working on a new Lovecraft-theme feature. 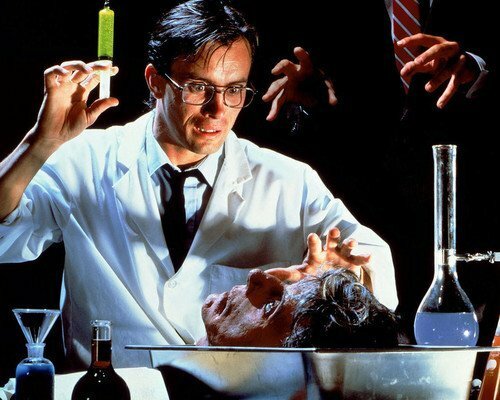 Meanwhile, the spell-binding Jeffery Combs’ turn as Herbert West, Reanimator in the film adaptation of the H. P. Lovecraft story of the same name continues to tickle generations of fans. 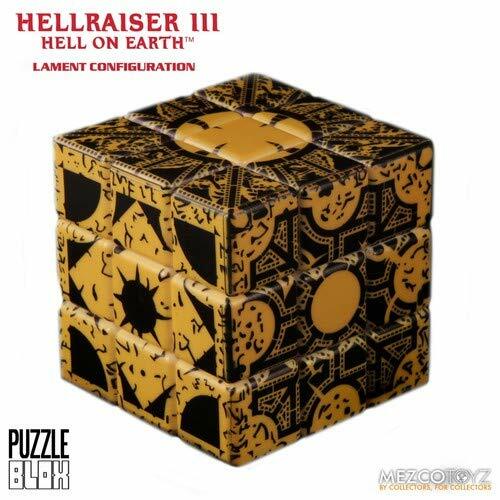 The sinister Lament Configuration box from Clive Barker’s Hellraiser series is one of the most iconic horror movies props ever created. It’s like the Companion Cube for horror weirdos. But since a working model as shown in the movies isn’t that much fun to play with, being just a couple pieces that slide together, they take the extra step of turning this into a Rubik’s cube. Isn’t that clever? Want to play a game? Well too bad, you’re playing one anyway, because you’ve been kidnapped and sedated to wake up in this basement chained to the wall with minutes to escape this death-trap at the mere cost of losing a limb or two. It puts the usual problems you normally whine about into perspective, doesn’t it? 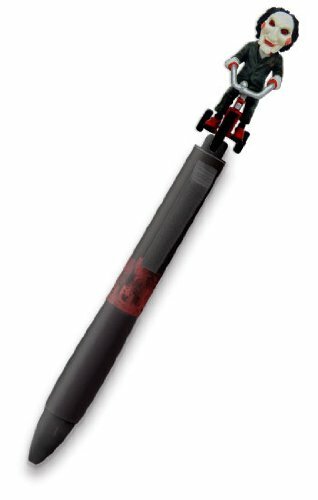 There’s many Jigsaw figures out there, but we had to go with this pen, because you can have an excuse to use it at the office. Whip this out to take notes at the next meeting and watch the atmosphere chill. From Aliens, 6" Alien Queen, as a stylized POP vinyl from Funko! 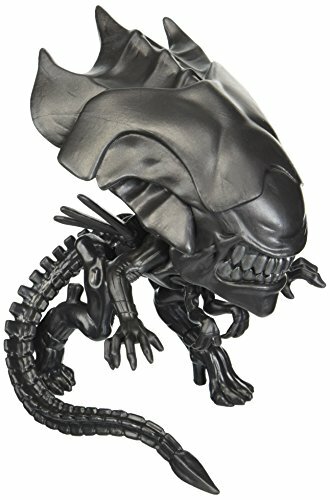 Stylized collectable stands 6 inches tall, perfect for any Aliens fan! Collect and display all Aliens Pop! Vinyls! We finally found a Funko Pop figure that isn’t cloyingly cute. This realization of the xenomorph species is actually one of the best, desktop-friendly Alien figures we’ve seen in awhile. Not nearly scary enough to warrant a ban from your school or office, but still just that right balance of disturbing. All that’s missing is Sigourney Weaver in a mecha-suit. Don’t tell us you can’t find that. As mentioned before, Lovecraft is big these days. Despite the obvious flaws of the man himself, one has to admit that he practically invented something like one-third of the horror genre. He was as diverse a writer as the latter Stephen King, who acknowledges Lovecraft as his biggest influence. 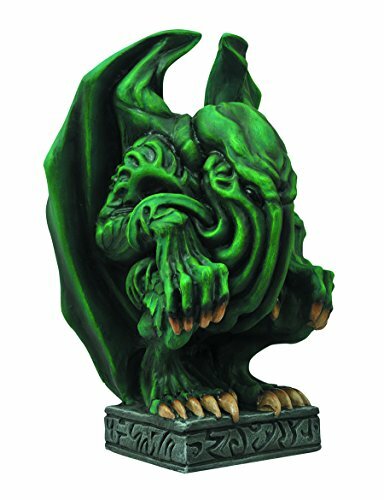 But his best-known creation is the Cthulhu mythos. We found no end of Cthulhu dolls online, but this bank offers a different twist. Who better to guard your fortune than the squid-headed dread of Dunwich himself?